Arts In Action » Self-Determination is for Everyone! How many of us live self-determined lives? How often do we take the time to map out our personal dreams and desires in a practical and realistic way? 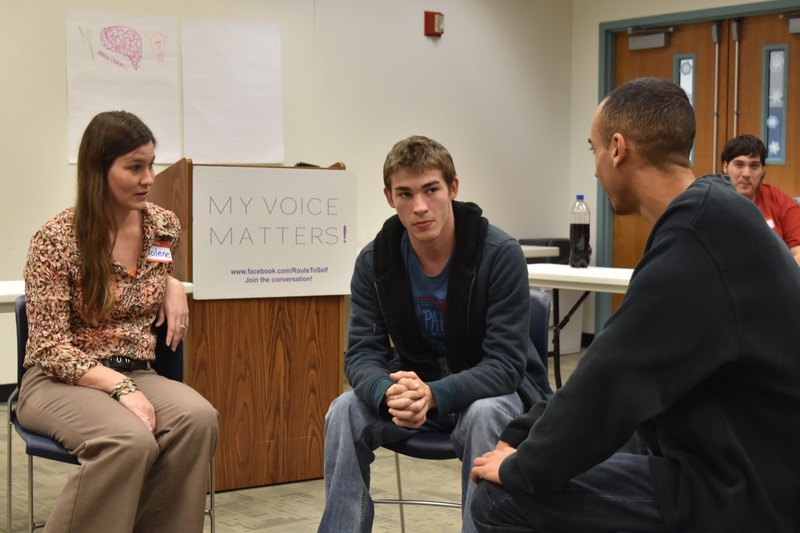 In Live Oak, Florida this January, two trainings were held that explored these questions and other topics related to Self-Determination. Diane White and myself are the trainers for The Route to Self-Determination project (RSD), funded by the Florida Developmental Disabilities Council. We conducted two trainings in Live Oak, Florida. On Monday, January 25th, a Train the Trainer workshop took place at the Suwannee County Library. This training attracted professionals from many agencies in rural counties who provide support to persons with disabilities. In attendance were representatives from The ARC of North Florida, the Agency for Persons with Disabilities (APD), the Florida Diagnostic and Learning Resources System (FDLRS), Support Coordinators from Habilitation Management Services (HMS), and ESE Instructors and Transition Specialists from the local school system. Some of the participants in the Train the Trainer workshop. 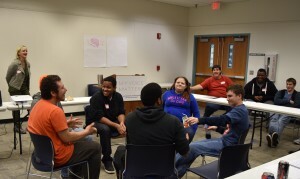 On Tuesday, January 26th, The Route to Self-Determination training was conducted for students representing Columbia High School and the Bradford Transition Academy. The library’s training room was filled with participants who were ready to discuss and share their hopes and dreams for their future. The students left with an action plan that they personally mapped out with at least one of their Self-Determination goals. While the group had fun dreaming about and visualizing their futures, some impressive goals were developed. One Columbia high school student wants to earn a living as an artist. In a small group activity, his fellow students assisted him in brainstorming creative ideas to make his dream a reality. (We all hope to see the You-tube video of his work soon!) Another student shared that he would like to open his own dog walking business on the weekends and eventually go to school to become a Veterinarian Technician. This student will be connected with another Self-Advocate in the state that currently has a dog walking business. Both students left the training with an action plan to help them stay on track. After six months, the RSD team will follow up with each training participant and log his or her Self-Determination progress. In fact, the team will stay in touch for at least two years with each willing participant. Attendees during a role-play session at the RSD training.